74% of parents are more concerned about their kids getting into a car accident than drugs or crime. Here’s a sure-fire way to get teen drivers to stay safe behind the wheel: Threaten to embarrass them by playing mom and dad’s favorite tunes. 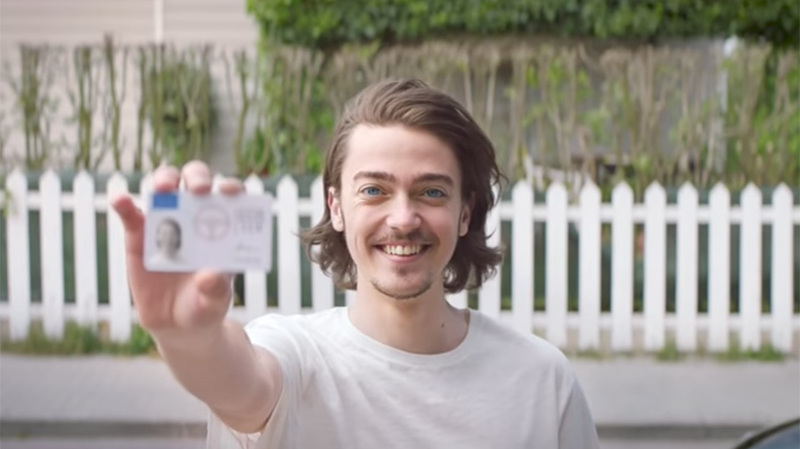 That’s the idea behind Toyota’s new app from Saatchi & Saatchi London that basically functions as a teen’s virtual parent while they’re driving. First, both a parent and teen download the Safe and Sound app, which is available on all Android devices in Europe. When a teen asks to borrow a parent’s car, parents click a button and the app pulls in Google Maps API to track how fast the driver is going. After it senses that the vehicle is moving faster than 9 mph, it automatically flips into ‘do not disturb’ mode that blocks all incoming calls and social media notifications. The app also plugs into Spotify to link up a parent’s and child’s playlists. If the driver tries to touch the phone or speeds while listening to Spotify, the app begins to play the parent’s playlist on Spotify, which the agency expects will include some embarrassing music from artists who kids may find dated like say, Milli Vanilli. “There’s nothing teenagers fear more than being seen as uncool,” says Saatchi & Saatchi London in a statement. Once the teenager takes his or her hand off the phone or slows down, the driver’s own playlist will resume playing. The app sends the parent and child a message at the end of the drive containing a summary of the trip. In addition to being funny, the app doubles as a source of relief for parents nervous about their children. According to the agency, 74 percent of parents are more concerned about their kids getting into a car accident than drugs or crime.